As attacks escalate and the country drifts toward another Middle East conflict, innocent refugees become trapped between the terrorists and the terrorized. Prejudice, hate, and fear vent everywhere. Is this who we’ve become? Before the country explodes, Hunter must find Khalifah, learn the next terror target, and pray he’s in time to stop further annihilation. A few of your favorite things: Harley Davidson, Labrador Retrievers, Jack Daniels. Things you need to throw out: Taxes, politicians, and constantly-whining-Facebook people. Things you need in order to write: Time. Sleep. Time. Things that hamper your writing: Time. Sleep. Time. Things you love about writing: I love storytelling and my characters. I love meeting the fans and readers and talking books. I love everything about it. Things you hate about writing: Overwriting my stories and having to kill characters and subplots. It’s painful. Utterly painful. Easiest thing about being a writer: Sitting down and writing. I have never struggled to just sit and work on my book. Hardest thing about being a writer: Having to work for a living when I’d rather be writing. Things you love about where you live: It’s a small, historic town. I love everything about it! Things that make you want to move: The urban sprawl from Washington DC over 90 miles away creeping toward us! Things you never want to run out of: Time. Labrador Retrievers. Money. Things you wish you’d never bought: A few dozen car cell phone stands that don’t last or work. Tom Cruise’s The Mummy. Favorite foods: Steak, seafood, land food. Anything I love to cook like Greek Food, Italian Food, Asian Food … food. Things that make you want to throw up: Liver and onions. Politicians. Politicians who eat liver and onions. Facebook people who constantly rant about politicians. Favorite beverage: Iced tea. Bourbon. Too many varieties of wine! Something that gives you a pickle face: Liver and onions. Politicians. Politicians who eat liver and onions. Facebook people who constantly rant about politicians. Favorite smell: Late nights after a thunderstorm. Something that makes you hold your nose: Politicians. Something you’re really bad at: Home fix-its. I start many projects. The local handymen make a bundle off me fixing them. Something you wish you could do: Home fix-it projects. Something you wish you’d never learned to do: Any home fix-it project. Even if I know how to do it, I’ll screw it up and make it worse. Something you like to do: Cruise on my Harley. Listen to Swing music. Something you wish you’d never done: First marriage. People you consider as heroes: Wally F. – My mentor. Former OSS Operative and Former Deputy Director of the CIA. 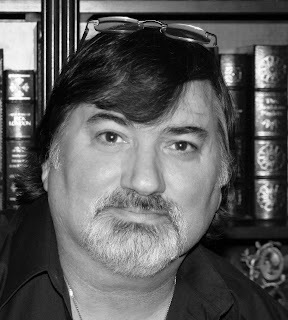 James Grady - Author and muckraker. People with a big L on their foreheads: Politicians who lie. Politicians who say they don’t lie. Politicians who speak. Things you’d walk a mile for: A gas station when I ignore my Harley warning lights. Things that make you want to run screaming from the room: Facebook people who constantly rant about politics. Things you always put in your books: Humor and real people. Things you never put in your books: Superhero characters. Things to say to an author: I gave you a 10-star rating on Amazon! Things to say to an author if you want to be fictionally killed off in their next book: I have you ten, one-star ratings on Facebook. Favorite places you’ve been: Greece, Turkey, all over the Med. Places you never want to go to again: Divorce court. Favorite genre: Thrillers—anything James Grady, Christopher Reich, or Nelson DeMille. Books you would ban: None. That is a sick thought. Ban people, not books. People you’d like to invite to dinner: James Grady, Christopher Reich, or Nelson DeMille. People you’d cancel dinner on: Politicians, car repair guys who cheat me. Things that make you happy: Harleys, good food and drink, my kids and grandkids, my Labs! Things that drive you crazy: See above: Politicians, Facebook crazies, tax season. Biggest lie you’ve ever told: The End. A lie you wish you’d told: My first, "I Do." Best thing you’ve ever done: Have my kids. Become an OSI agent. Publish my books. Biggest mistake: Some people I’ve trusted. Speaking my mind too often. Answering some of these questions too honestly. Most daring thing you’ve ever done: Some “can’t talk about it” adventures as an anti-terrorism agent and military OSI Agent. Loved all the moments of them! Something you chickened out from doing: Ah … can’t think of anything. Oh, wait, repairing my own back deck. My wife wanted the rest of my house to remain standing. The gunshots took me by surprise and, without luck, might have killed me. The first shot splayed a spiderweb across my windshield before it whistled past my head, peppering glass needles into my face. The second smashed my driver’s-side mirror. An amateur might have panic-braked and skidded to a stop—a fatal mistake. The shooter hesitated, anticipating that decision, and readied for my failure. Training. Muscle memory. Response. I gunned the engine, wrenched the car to the left to put more steel between me and the shooter, and sped forward, looking for cover. My headlights exploded and flashed dark. Bullets breached the windshield. The rearview mirror and rear window were gone. Had I not flinched, one shot would have found my right eye but shredded my headrest instead. I careened to a stop at the bottom of the boat launch— vulnerable. The shooter was ahead in the darkness, likely maneuvering for another shot. A closer shot. The kill shot. He’d be closing the distance and finding a new advantage. Luck had its limits, so I dove from the car and rolled to cover behind it. I fought to control the adrenaline and bridle my thoughts. I stayed low and crept along the side of the car, looking for better cover. Spring rain made the darkness murky and dense. The Shenandoah River was to my left some fifty feet. A blind guess. Overhead, two dark spans of the Route 7 bridge blocked what little light there was but provided some cover from the rain. The six substructure supports in front of me might afford me cover. They also afforded the shooter cover. He was hidden and waiting. Still, Kevin Mallory was nowhere to be seen. Under normal conditions—and normal is relative with me—I might have judged the shots’ origins. Driving headlong into an ambush on terrain I’d long ago forgotten, in darkness and rain, I was all but defeated. Easy, Hunter, easy. Count your breaths. One, two, three. Out there, somewhere, someone wanted me dead. Worse. I was unarmed and alone. The boat launch was just a small gravel lot tucked beneath the expanse of the Route 7 Bridge across the Shenandoah. At night it should have been empty. It was nearing ten p.m. and I hadn’t expected to find anyone but Kevin. Yet, while we’d been estranged for years, under bad circumstances, I doubted he was hunting me. Although, I do tend to bring out the worst in people. Ahead, perhaps seventy-five feet, a dark four-door SUV faced an old pickup. The vehicles were nose to nose like two dogs sniffing each other. One, two, three. I ran to the nearest bridge support, stopped, listened, and bolted to the rear of the SUV. Silence. Safety. But something else—a dangerous odor. The pungent scent of gasoline. A lot of gasoline. I got down on one knee and looked around. The dome light was on and the driver’s door was ajar. Something lay on the ground near the left front fender. A large, bulky something that washed an angry tide of flashbacks over me. I’d seen silhouettes like that before. Bodies look the same in any country, under any dark sky. It didn’t matter if it were the rocky Afghan terrain or along a quiet country river. Their lifeless, empty shells were all hopeless. All forsaken. All discards of violence. The silhouette three yards away was no different. Except this wasn’t Afghanistan or Iraq. It was home. No muzzle flash. No assassin’s bullet. I crept to the SUV’s rear tire, crouched low, and slithered to the front fender. The body was a man. He lay three feet in front of the fender and precariously vulnerable beneath the spell of the SUV’s dome light. He was tall and bulky. Not fat, but strong and muscled. After fifteen years of silence and thousands of miles, I knew the body—the man. His hair had grayed and his face was creased with age and strain. The years had been hard on him. Years he was here while I was forever there. Always elsewhere. He’d built a life from our loss while I’d escaped—run away. He once warned me that my life’s choice would leave me as I found him now, alone and dead. The irony churned bile inside me. My mouth was a desert and the familiar brew of adrenaline and danger coursed through me. In one quick move, I leaped from the SUV’s shadow, grabbed his shoulders, and tried to drag him back to safety. No sooner had I reached him when a figure charged from the darkness toward us. His arm leveled—one, two, three shots on the run—all hitting earth nearby. I threw myself over Kevin. Another shot sent stone fragments into my cheeks and neck. The figure reached the rear of the pickup, tossed something in the bed, fired another wild shot, and retreated at a dead run. Lightning. A brilliant flash of light, a violent percussion, then a whoosh of fire erupted from the pickup. The flames belched up and over the side panels. They spat light and heat. The truck swelled into an inferno. The heat singed my face. I gripped Kevin’s shoulders and dragged him the remaining feet behind the SUV. He was limp and heavy. The raging fire bathed us in light, and I finally saw him clearly. His eyes were dull and vacant. His face pale—a death mask. If life was inside, it was hidden well. The truck was engulfed in flames, and the heat was tremendous. It reached us and felt oddly comforting amidst the spring dampness and dark. “Kevin, hold on. Hold on.” I looked for an escape. I saw the next shot before I heard it—a flash of light where none should be—uphill near River Road. Seasoned instincts threw me atop Kevin again. Glass crackled overhead and rained down. I grabbed for the familiar weight behind my back, but my fingers closed on nothing. I hastily searched him. No weapon. All I found was an empty holster where his handgun should have been. Where was it? In a desperate move, I rolled off and snaked forward beneath the truck’s firelight and groped around where he’d been. It took several long, vulnerable seconds. I dared not breathe or even look for the shooter, fearing I’d see the shot that would end me. Finally, my fingers closed on a wet, gritty semiautomatic. As I retreated to the SUV, something moved in the darkness. I pivoted and fired two rapid shots, spacing them three feet apart. Response. A shot dug into the gravel inches away to my left. Rule one of mortal combat—incoming fire has the right of way. Retreat. The flash was a hundred feet away. The shooter had withdrawn and angled south down River Road. Should I take him? Could I? One, two, three. Reason, Hunter, reason. The shooter had fired at least fifteen rounds. Fourteen at me and at least one into Kevin. Had Kevin returned fire? How many rounds did his semiautomatic have left? I was on turf all but forgotten, armed with a handgun that was perhaps near-empty. The shooter must have a high-capacity magazine with plenty of ammo to cut me to pieces. He’d already proven willing and capable of killing. He knew my location. I knew nothing. I sat back against the SUV’s tire and pulled Kevin close, keeping one arm around him and the other holding the handgun ready. The truck fire raged but was easing. The gasoline that had been splashed over it was consumed and only the paint and rubber were burning. Soon, though, the fire might breach the gas tank. I pulled Kevin close and braced myself. “Tomorrow . . . not them. G . . . Khalifah is . . .” His body went limp. “Go . . . please . . . not them . . . it’s not . . .” He tried to breathe but mustered only a raspy gag. His body shuddered. A long, shallow sigh. No. No. No . . .
My fingers found warm, sticky ooze soaking his shirt. The rain had slowed to a faint mist and, except for the river’s passing and the grumble of fire, there was only silence. Then, somewhere along the highway miles in the distance, sirens wailed. I checked his pulse and wounds. Both were draining away life. I pressed my hands into the ooze but couldn’t force its retreat. For a few seconds, I was fourteen again. The dull sickness invaded me as my parents were lowered side by side into the earth. The ache started in my gut and swelled until I spat bile and rage. The man who raised me—the man I’d abandoned—slipped away. The emptiness and loss attacked. I had to fight or it would destroy me again. This time, there was nowhere to run. I closed my eyes and willed the anger in, commanding it to take hold and fill me. I remember, Kevin. I made you a promise. I’m late, but I’m here. He was limp, and I clutched him. A rush of words filled me that I’d wanted to say for so many years. But before I could speak just one, my brother was gone. 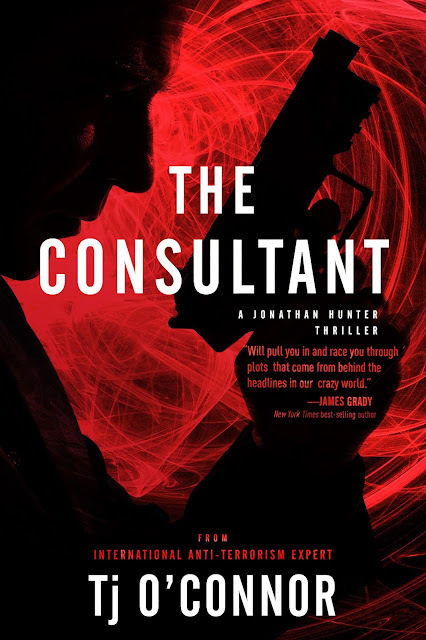 Excerpt from The Consultant by Tj O'Connor. 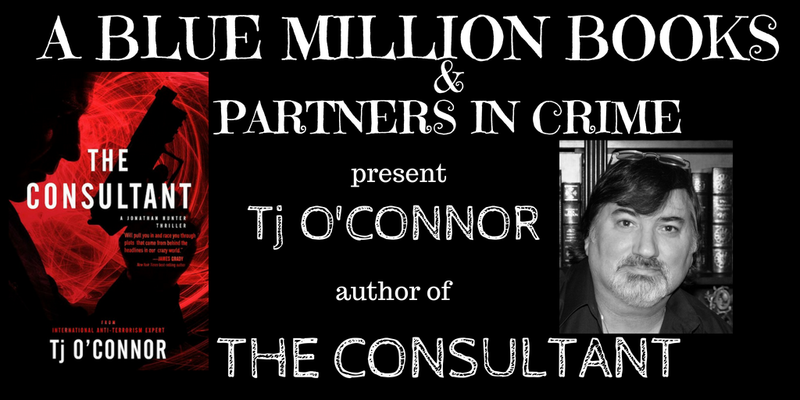 Copyright © 2018 by Tj O'Connor. Reproduced with permission from Tj O'Connor. All rights reserved. Tj is an international security consultant specializing in anti-terrorism, investigations, and threat analysis—life experiences that drive his novels. 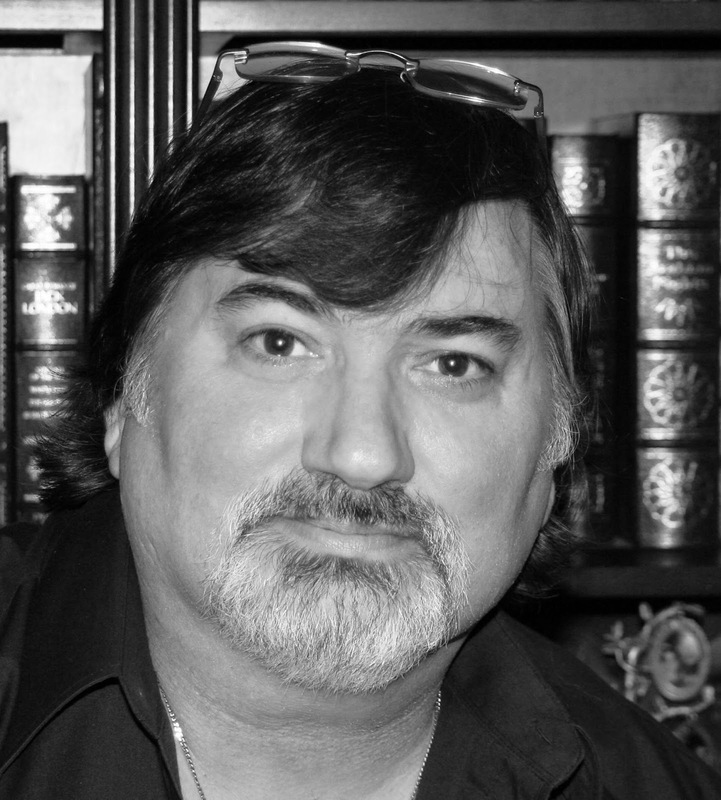 With his former life as a government agent and years as a consultant, he has lived and worked around the world in places like Greece, Turkey, Italy, Germany, the United Kingdom, and throughout the Americas—among others. He was raised in New York's Hudson Valley and lives with his wife and Labrador companions in Virginia where they raised five children. Dying to Know, Tj’s first published novel, won the 2015 Gold Medal from the Independent Publishers Book Awards (IPPY) for mysteries and was a Finalist for both a 2015 Silver Falchion Award and the 2014 Foreword Reviews’ INDIEFAB Mystery Book of the Year. The Consultant has been chosen by Amazon to be a July Kindle Monthly Deal for $.99.